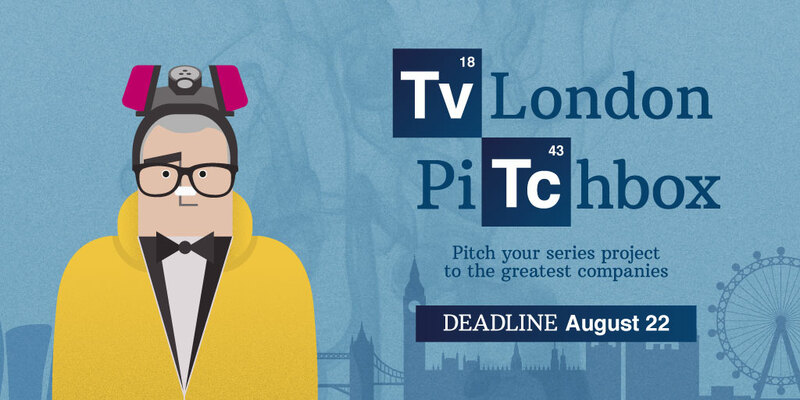 Online platform Filmarket Hub has opened the call for projects for London TV Pitchbox, a pitching event dedicated to British drama series in development, which will take place on September 28t hat The Century Club, within the Raindance Industry Forum. Among all the candidate projects, seven will be selected to pitch in front of top TV executives and commissioners. The event already has attendance confirmation from companies such as Sky and Entertainment One. Applicants should submit their projects to Filmarket Hub’s online marketplace before the August 22n d deadline.The selected projects and the special mentions will be announced on August 31s t.
The event aims to replicate Madrid TV Pitchbox, where last December seven curated Spanish drama series were showcased in front of executives from companies such as Amazon Prime Video, Atresmedia, HBO, Mediaset, Movistar+ and RTVE. Following the same format, the selected projects will have seven minutes and visual support to pitch to the attendee companies. After the pitching session there will be a networking lunch, where projects representatives and executives will be able to share impressions. Filmarket Hub is the first online marketplace for films and series in development. It matches international projects with producers, TV broadcasters, OTT platforms, sales agents and distributors. It's a perfect tool to discover excellent scripts or find financing partners, with more than 12.000 users from all over Europe & Latin America. Filmarket Hub also organizes pitching events under the brand ‘Pitchbox’, where the best projects of the online marketplace have the opportunity to present in front the greatest companies from the industry. “Filmarket Hub is in full process of internationalisation and with London TV Pitchbox we are looking for consolidation in United Kingdom. We are more than happy to have Raindance as a partner, the synergies between use are strong since both aim to support the best emerging talent. Can’t imagine a better venue to celebrate our first British event,”explains Filmarket Hub co-founder Bernardo Gómez. Raindance Film Festival is the largest independent film festival in the UK. Celebrating its 26t hedition in 2018, Raindance is based in the heart of London’s buzzing West End district. Raindance Film Festival is committed to show the boldest and most innovative work that challenges the boundaries of filmmaking. Raindance Film Festival is officially recognised by the Academy of Motion Picture Arts and Sciences USA, the British Academy of Film and Television Arts and the British Independent Film Awards. Selected shorts qualify for Oscar®and BAFTA Consideration. “Raindance is committed to provide its members and attendees with opportunities to develop, showcase and get feedback on their film projects, and we’re looking forward to expand to TV projects thanks to Filmarket Hub. We are sure that the London TV Pitchbox will be a welcomed addition to the Festival programme and a great opportunity for writers to pitch in front of top TV executives,” says Raindance Founding Director Elliot Grove. * For more information regarding media usage, ownership and rights please contact Filmarket Hub.